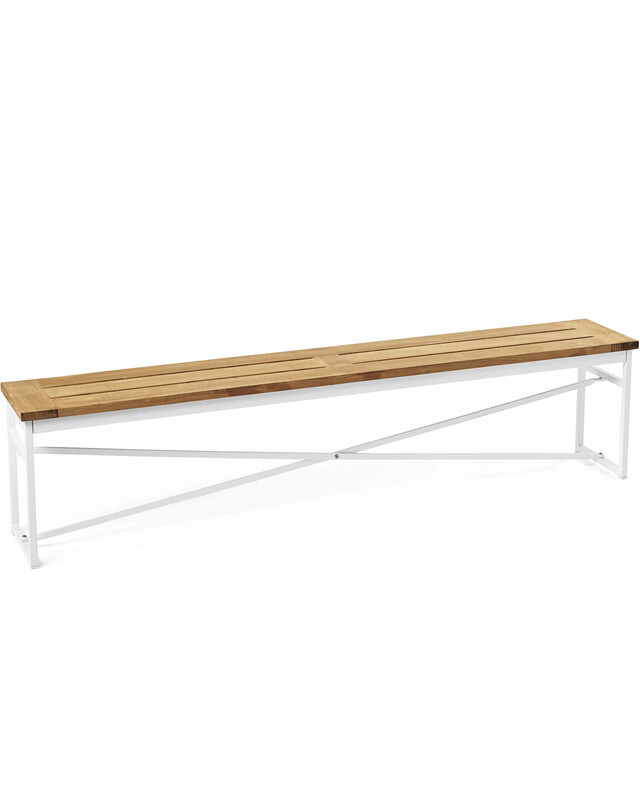 Teak Garden BenchTeak Garden Bench, alt="Teak Garden Bench, "
Print Designed to coordinate with our Teak Garden Table, this communal-style bench tucks perfectly underneath and comfortably sits 3 guests. 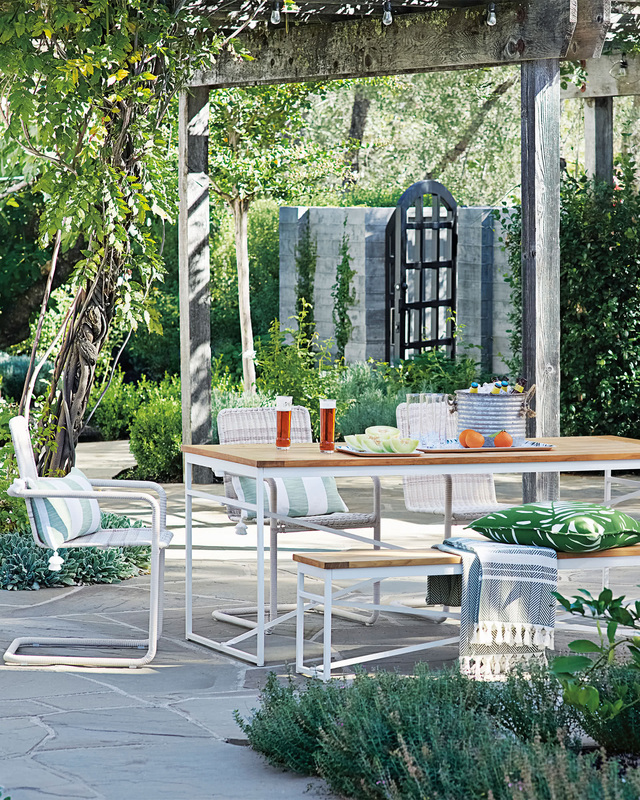 It’s made of fine teak and features a powdercoated frame (steel to keep it sturdy, aluminum legs to make lifting super easy) that protects against rust. Over time, the teak will take on a silvery grey patina, giving your bench a look that's full of character. Matching table sold separately. 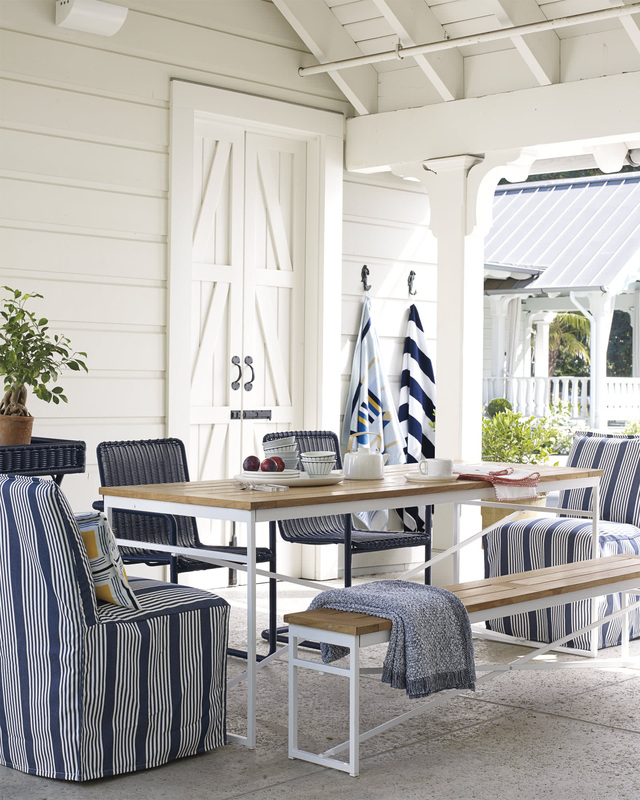 Durable construction reinforced with steel frame and aluminum legs featuring a white powdercoated finish. Will not rust. 72"W x 12"D x 17"H overall.